Many things in Krakow won't even cost you a single zloty to enjoy being here. 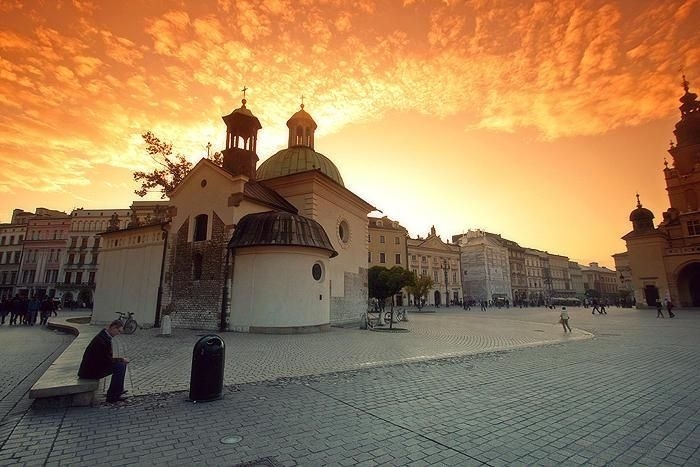 Every day at 10 am, 2 pm and 4 pm there is a free walking tour of the Old Town, while at 10:30 am, 1:30 pm and 4.30 pm you can find out about the other side of Krakow by going on the walking tour around the Jewish quarter. Every Saturday at 1pm there is a free tour focussing on specific themes connected to the city. Finally, those who are over 18 years old can take part in a tour, which brings to live the dark secrets of the city. Krakow’s Macabre Free Walking Tour is not for the faint-hearted. The meeting point for old town tours is between the Barbican and St Florian's gate. For Jewish Kraków - the meeting point is in front of the Old Synagogue on Szeroka street, Kazimierz district. The fire-breathing dragon near Wawel Castle is a favourite for children. Surrounding the Old Town is a green belt called ‘Planty’. Here there used to be a defence wall protecting the city from attack, but it is now a pleasant park with interesting monuments and historical landmarks. One of the highlights is Florianska Gate, the only remaining gateway to the city. Nearby is the Barbican, an impressive fortress. Every hour you can hear the bugle call from St. Mary’s Church and also walk around the Old Town where there are usually a fine array of buskers. Take a photo of yourself peering out of the head of the Igor Mitoraj sculpture, located next to the Town Hall. The Cloth Hall contains souvenir stalls but wandering around its interior is interesting as you can see the coat of arms of Polish cities painted on the ceiling. Climb Kopiec Kraka for a stunning view of the whole city. If you would like to go for a cycle, a very popular route is the one to the Tyniec Abbey, which follows the Vistula River out of the city. Another place worth visiting for its picturesque scenery is Zakrzowek, an old stone quarry, which was filled with water. Las Wolski is another nature escape from the hustle of the city. Blonia is a massive green area also not far from the city centre where people go jogging, walking or take part in other activities. The River Vistula is very close to the centre of the city and is also a popular recreational place for walking. All of these things make Krakow an interesting place to visit and it won’t even cost you a single zloty to enjoy being here.